Office workers spend a lot of their working hours in meetings, and it’s not always accurate to say that this is a productive use of resources. Too often meetings are over-long and lacking in focus, with staff coming out of them no clearer on their goals and tasks than they were before they went in. When they take up close to 23 hours in the working week of some executives, this is a lot of time potentially wasted. What we all need is a new way of running our meetings, one that will make than not only shorter, but also more effective. To begin with, all meetings need to have an agenda that has been reviewed and updated at the start, to take into account any new information and requirements that might impact the priority order. This is essential as meeting agenda need to be done with the most important items first, so that nothing crucial is missed at the end if time runs out. To avoid a loss of focus and the potential wasting of time that brings, you also need to clearly state the purpose and required outcomes from each item on the agenda, as well as sticking to these during the meeting to ensure that they are adhered to. Setting a time limit for each item will also improve the focus as there will be less chance of discussions going off on a tangent and derailing the plans. It’s important before the meeting to make sure everyone coming is aware of what will be discussed, so when you send out the agenda, try and keep it short and to the point, so even the busiest of colleagues can scan through it easily and know what will be discussed. Assigning responsibility for each item to someone in advance also helps them to prepare, which makes for a more productive session than one that is largely being made up on the fly. When the meeting comes to an end, it should have been a much more useful one than people are accustomed to, but there will still be some room for feedback and improvement in the future, so set aside some time for a quick debrief on what people feel could have been done better. This will help get them engaged and also identify areas that could still be made more efficient. 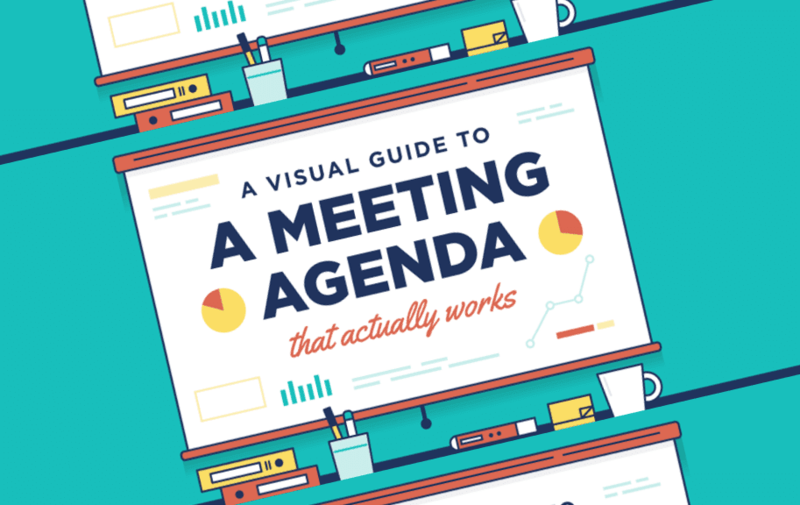 All of these tips and more can be found in this infographic from The Business Backer, so take note of them and try to incorporate them the next time you’re planning a meeting.